“William Shawcross, resigned as director of The Henry Jackson Society, a right wing ‘think-tank’ which advocates war with Iran, to take up his current position as Chair of the Charity Commission. Shawcross is a former trustee of the Anglo-Israel Association, and was a founder member of the Friends of Israel Initiative which pledges to stand “in a spirit of solidarity with the State of Israel… inside the institutions of the international community”. The Charity Commission “is not fit for purpose”, according to Chair of the Public Accounts Committee, Margaret Hodge MP, who has raised the option of scrapping it. Hodge was responding to a National Audit Office (NAO) report that concluded the Charity Commission is not tackling abuses of charitable status effectively. The NAO published an accompanying report on the case of The Cup Trust, a sham charity tax scam for the wealthy; the “charity” bought and sold bonds among its members to the tune of £46 million purely for purposes of tax avoidance. Since the scam started in 2010 with the sham charity’s registration, The Cup Trust had a total income of £176m out of which £152,292 was released in grants to charitable causes. According to the NAO, the Charity Commission should never have allowed The Cup Trust to register as a charity in the first place or allow it to keep its charitable status even after its unsuitability was flagged up. 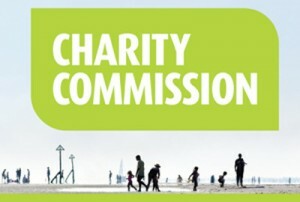 Under pressure, the Charity Commission had no option but to open an inquiry, and launched enquiries in both 2010 and again in 2011 but then concluded that The Cup Trust’s charitable status could not be revoked because it claimed to have been set up for exclusively charitable purposes and it had made some miniscule grants, i.e. 3p went to charity from every £100 raised. The Commission claimed it was unable on these grounds alone to revoke The Cup Trust’s charitable status. The NAO slamed the Charities Commission for its “reliance on the view that tax avoidance schemes were a legitimate activity for charities and that it was for HMRC to pursue tax issues”. The Jewish National Fund is another body whose charities the Charity Commission has long maintained on the register in the face of incontrovertible evidence that the JNF aims are contrary to the requirements of public benefit and that it is raising funds for largely non-charitable purposes. As with The Cup Trust, the Charity Commission has rebuffed all challenges to the charitable status of the JNF UK, the most recent by the Stop the JNF Campaign, on the grounds that the JNF claims to have been set up for purely charitable purposes and that it donates money to causes. In fact, the JNF UK is a branch of the international JNF-KKL, which is a para-statal organisation in Israel and an open participant in, and often the director of, the Israeli Government’s past and present ethnic cleansing operations in Israel/Palestine. The JNF-KKL is involved in Israel’s Prawer Plan to forcibly drive up to 70,000 Palestinian citizens of Israel from their lands in the Naqab, in the South of Israel, and replace them with exclusively Jewish settlements. Calls for Israel to withdraw the Plan have come from many bodies, including the UN Committee on the Elimination for Racial Discrimination, the European Parliament,the UN Office for Human Rights, and Human Rights Watch. Israel has ignored the calls. The JNF is a part of the Israeli Government, and is a key player in the Zionist programme to acquire land that cannot then be sold or leased to Palestinian citizens of Israel. This egregious case of ethnic discrimination would be criminal if practiced in the UK. As the Stop the JNF Campaign has shown, the Charity Commission has ignored its own guidance when considering the charitable status of institutions operating abroad to “first consider whether they would be regarded as charities if their operations are confined to the United Kingdom”. Not only would the JNF charities not be charities; they would be liable to prosecution for criminal activities. Those who run the Charity Commission were long aware of the cases made against both sham charities, The Cup Trust and the JNF UK. In both cases the Charity Commission’s arguments are shocking and unacceptable to virtually anyone appraised of what these bodies actually do. Sixty-eight MPs signed EDM1677 in 2011 calling for revocation of the JNF’s charitable status. No doubt alarmed at the potential damage from continuing an association with the JNF, given the rising awareness of the JNF’s activities, David Cameron resigned a JNF Patron in 2011. Nick Clegg and Ed Miliband have kept their distance, breaking a long-standing tradition whereby all three main party leaders became JNF Patrons on becoming party leader. Tony Blair remains a JNF Patron. In its fund-raising for ethnic cleansing, the JNF has a strong ally in the Chair of the Charity Commission, Shawcross, who succeeded Dame Suzi Leather in 2002. To take on his new appointment Shawcross resigned as director of The Henry Jackson Society, a right wing ‘think-tank’, itself a very dubious registered charity and a vocal advocate for war with Iran. Shawcross is a militant Zionist, former trustee of the Anglo-Israeli Association, and as founder member of the Friends of Israel Initiative pledges to stand “in a spirit of solidarity with the State of Israel… inside the institutions of the international community”. The Charity Commission is one such “institution” where Shawcross operates as Chair “in a spirit of solidarity with the State of Israel” in its violations of Palestinian human rights. The Charities Commission CEO, SAM younger, admitted on BBC Radio 4 this morning that the Charity Commission is defective “in identifying where serious wrongdoing is happening in charities”, but he pleaded that pressure of work meant they “rely on being able to identify…wrongdoing then dealing with it”. This will not wash in the case of the JNF’s sham charities, for the Stop the JNF Campaign – not to mention 70 MPs – identified the JNF’s wrongdoing very clearly. Younger also added bizarrely that “the test of being registered as a charity is your charitable purposes not your activities”. Read that again: as long as the paperwork is persuasive, then what they do is not important! The scandal engulfing the Charity Commission is the latest failure of an oversight body charged with preventing crime and abuse in major UK institutions; the BBC promoted and protected Jimmy Savile throughout his lifelong career while he was widely known in the BBC canteen as a sexual predator; the majority of the MPs elected in 2005 to the Westminster Parliament were forced to repay expenses they had improperly (fraudulently?) claimed; the Press Complaints Commission issued a 2009 report dismissing claims of widespread phone hacking, the Independent Police Complaints Commission since its founding in 2004 has investigated over 800 deaths following police contact or in police custody without a single conviction. Bodies charged with safeguarding the elderly in care homes, or children in care, or standards in the NHS have all been embroiled in scandals. 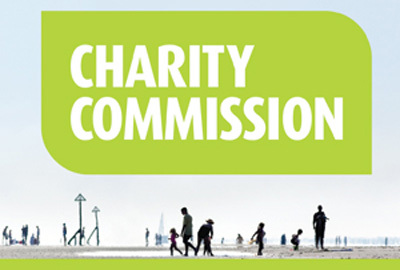 The Charities Commission is now the latest such exposure. “if the purpose of the Fund, as stated in the resolution of the Zionist Congress, is to promote the return of the Jews to Palestine through purchasing land there and leasing it to Jewish settlers, we cannot state that the purpose is charitable within the framework of British Law… We therefore conclude that the purpose of the Fund will be a political rather than a charitable one…”. The JNF UK charity the JNF Charitable Trust 2012 report confirms that the JNF’s main purpose, to realise the “Zionist dream”/nightmare, has not changed since 1901. We can’t rely on government bureaucrats to clean up the Augean stable that the Charity Commission is revealed to be; we need a stronger campaign to build up public pressure against the criminal activity of the JNF-KKL and the JNF UK’s role. Please join Stop the JNF UK and/or invite a speaker to your TU/church/student/campaign meeting.